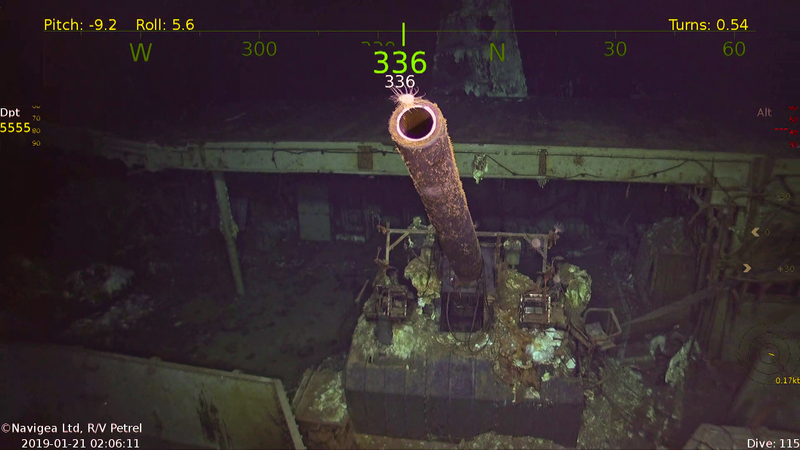 The late Paul Allen’s research team discovered the wreckage of World War II’s USS Hornet (CV-8), the aircraft carrier that launched the Doolittle Raid and participated in the Battle of Midway before being sunk in the Battle of the Santa Cruz Islands by Japanese dive bombers, torpedo planes and ship-launched torpedoes. 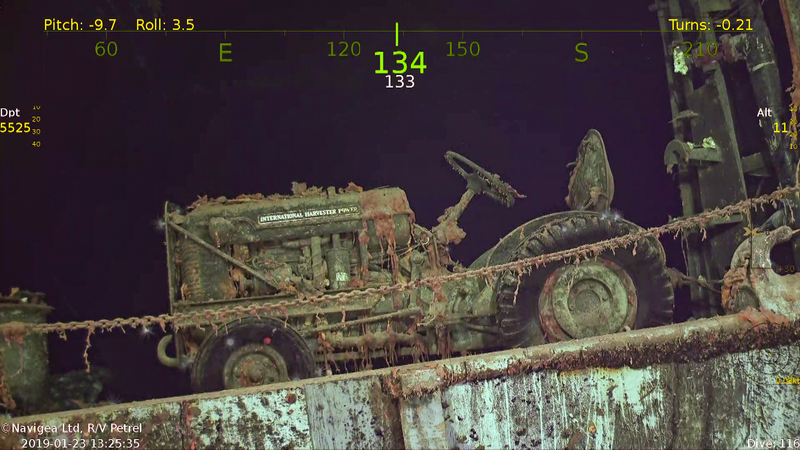 “Wreckage of the USS Hornet was discovered in late January 2019, 5,330 meters (nearly 17,500 feet) below the surface, resting on the floor of the South Pacific Ocean,” the R/V Petrel team and parent company Vulcan announced online. 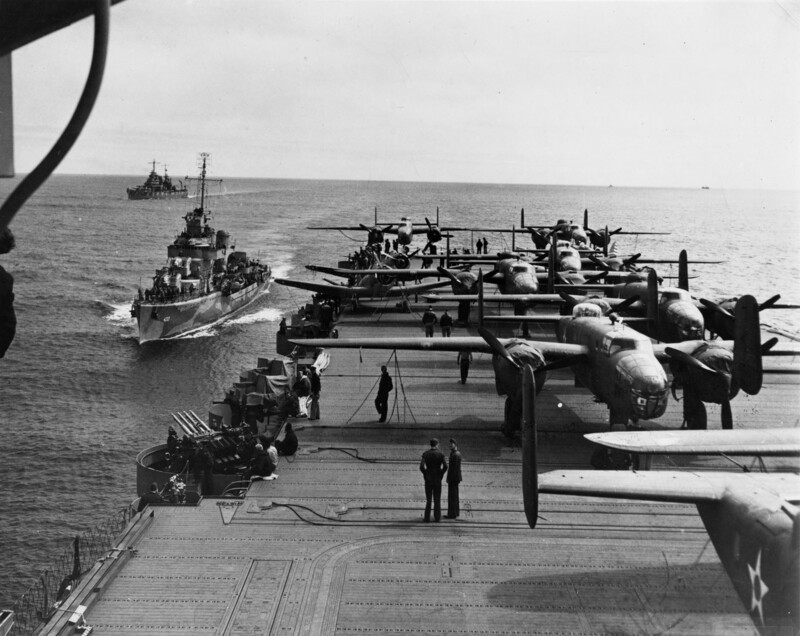 “We had the Hornet on our list of WWII warships that we wanted to locate because of its place in history as a capitol carrier that saw many pivotal moments in naval battles,” Robert Kraft, director of subsea operations for Vulcan, said in the announcement. “Paul Allen was particularly interested in aircraft carriers so this was a discovery that honors his memory,” Kraft said of Microsoft co-founder and philanthropist Paul Allen, who died last year. The crew of Allen’s ship, R/V Petrel, earlier this month announced the discovery of Japanese ship IJN Hiei on Feb. 6. Hiei was found near Hornet, both in the southern Solomon Islands. Petrel goes on expeditions and searches multiple known or expected wreckage sites in the same at-sea period, often announcing a cluster of discoveries in short succession. Last spring, the billionaire and his research team announced the discovery of carrier USS Lexington (CV-2), cruiser USS Juneau (CL-52) and cruiser USS Helena (CL-50) in March and April. 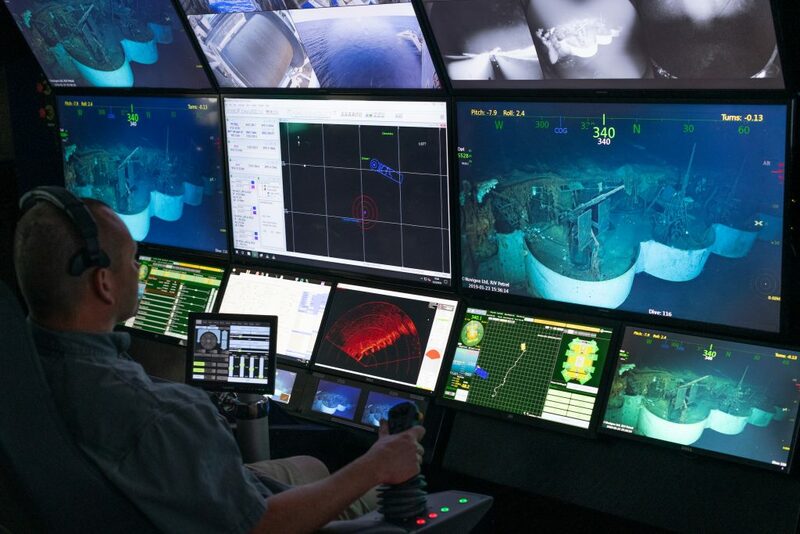 Exploring the wreck where it rests 5,000 m below the surface. R/V Petrel photo. In April 1942, just months after Japanese forces bombed Pearl Harbor, U.S. Army Lt. Col. James Doolittle launched the first retaliatory air raid on the Japanese homeland. Sixteen B-25 bombers launched from Hornet’s deck, hitting targets in Tokyo, Yokosuka, Yokohama, Kobe and Nagoya. Most of the aircraft crash-landed behind Japanese lines in China. International Harvester aircraft tug sitting upright on USS Hornet. R/V Petrel photo. Hornet sank months later, in October 1942 in the Battle of Santa Cruz Island in a fight to push Japanese forces out of the southern Solomon Islands. Japanese dive bombers and torpedo planes fired heavily upon the carrier, setting fire to the ship and irreparably damaging the hull. Other nearby U.S. Navy ships attempted to rescue the crew, and destroyers USS Mustin (DD-413) and USS Anderson (DD-411) tried to scuttle Hornet with torpedoes and gunfire. Hornet still wouldn’t sink, and with more Japanese warships approaching the American destroyers fled the burning carrier. Japanese destroyers finally sank Hornet about 24 hours after the initial bombing of the carrier began.